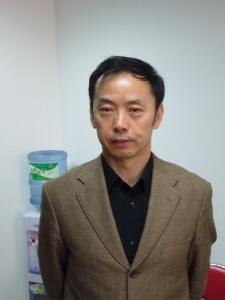 Of Manchu origin, he was born in 1953 in Beijing. At sixteen, he left as “educated youth” for the far north of China to be re-educated by peasants, remaining there eight years.His knowledge of this region is one of the strong points of his first novel “Blood Crime “translated in 2003. Back in Beijing, he worked two years as a plumber in a construction company. A meeting with a doctor, who will become his wife, encouraged him to enter University. After obtaining a degree, he began teaching and obtained a scholarship to Northwestern Law School in Chicago where he completed a doctorate in law in less than a year. He returned to China in 1993 to resume his teaching activities and participate in the reform of judicial procedure. His American experience, Illinois and Niagara Falls, will be the setting for some chapters of “Crimes on the stock market in Beijing,” his second novel. During a trip to Hong Kong in 1997, as a researcher at the University, he will collect impressions that will be part of the plot of the novel “The mysterious old painting”. Detective novel, a”minor”type of work: His love for literature, his experience in criminal proceedings, had led him as from 1995 to write four novels, to the amazement of his fellow academics. Indeed, these novels are not well “considered” in China. 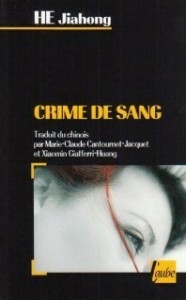 The tradition of crime fiction exist, and some translations are available: the novels translated by the Dutch diplomat / sinologist Robert van Gulik (“Three criminal cases solved by Judge Dee” Christian Bourgois 1987), “police stories ” from the beginning of the Ming period, translated by André Levy, for Flammarion (1981), novels by Cheng Xiaoqing (1893-1976), some of which are available in English or the translation of the novel by Li Di (Philippe Picquier,1984). Not vey impressive and yet Sherlock Holmes, presented by Lin Shi as early as 1900, is as well known in China as Agatha Christie. He Jiahong is writing novels for a Chinese audience, so we can find an “exotic” vision of the U.S. while Qiu Xiaolong , Shanghainese and living in the United States, by contrast, offers us a vision of Shanghai able to attract readers from outside China. These novels are read with pleasure, the mystery plot is interesting, but sometimes a bit weak in “The mystery of the dragon’s eye stone” .Dialogues are pleasant except for a few meetings of lovers (“Crimes on the stock market in Beijing “p.274)! The “politically correct” is a little heavy in “Blood Crime”, written, it is true, more than ten years ago. Criticism do not exceed the limits, even if the Party should not be a joke ” What are the four qualities essential to be a cadre in the Party? Never get tired of flattering, beer and wine drink without getting drunk … “(p. 223). Similarly, friends of the victim, members of the “democratic movement”, “abandoning the principles of the nation and the people who made them enthusiastic in the past, had taken the decision to explore other ways to make money” (p .330). But as He said and what is for him essential “the legal system of our country is built little by little, we must proceed by stages” (p.360), and it is clear that in ten years, despite obvious limitations, the role and place of law have progressed. Q- Does your Mandchu origin mean something to you? Q- You stayed a long time in a farm in the far north of China? Eight years, until the end of 1977, three hundred kilometers north of Harbin. I started as “young educated” at sixteen, I had volunteered unlike many young people older than me who had no choice. I had a revolutionary spirit and thought that communism was the future of China, but also that of all mankind. I worked hard on this farm, I was a “model” tractor driver” . I gradually changed. In 1971, the plane of Lin Biao, Mao’s designated successor, crashes and I’m starting to think that young people could be the instrument of struggles between senior executives, but it was still unclear to me. By 1973, some returned to Beijing by the “back door” because of relationships of their parents. Universities welcomed again students but only those who had a “good class origin” and did not belong to “black” categories like myself “. As a “model”worker, I should have been selected; moreover I read a lot instead of playing cards as many of my friends during endless drinking sessions. I was very frustrated and I started writing to show what I could do; my poems had already been published in a local newspaper. Q- Will you write other novels after the four already published? No five, but the fifth one has not been translated in France. Now, I really do not have time but I gathered ideas and materials for later … Some colleagues have been very critical of this literary activity, but it gave me a very special status: I am the only law professor member of the Writers Union. Similarly, the director of Penguin China contacted me for ” Blood Crime “, the English translation is long overdue and should be finished, more than a year ago,and is now expected to be released at the end of the year! The British newspaper “The Guardian” published a list of his favorite authors of detective novels, I am on it as well as Qiu Xiaolong whom I do not know personally. My first novel was serialized in a magazine, then published by “The publisher of the masses” which is a very good editor linked to the Ministry of Public Security. The next three novels were published by”The legal Press”, the largest publisher in China in this area, which is attached to the Ministry of Justice. They publish my law books, but they have no marketing or distribution suitable for literature, so I also published a collection of my five novels with another publisher. Q- Do you read detective novels recently published ? I have little time, again; the novels have not China the place they have abroad. Readers prefer novels of martial arts (wuxia), they are not so interested in crime novels written by Chinese authors and read more willingly Sherlock Holmes or Agatha Christie. Yet quality has improved greatly: in 1980, the authors were former police officers and their works looked like records of investigations but it was already an opening; then journalists, teachers have also published and a circle of mystery writers was created and I have attended their meetings for some time. 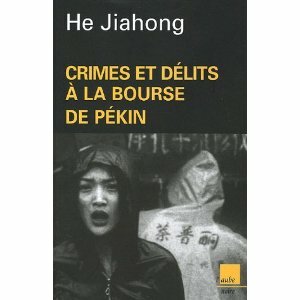 If I was writing today, it would be a bit different specially for “Crimes on the stock market in Beijing.” Corruption is indeed a real problem, a very serious problem. Literature makes it easier to address “sensitive” topics. When I was younger, I thought someone was good or bad; in fact what is complex is the system that drives a person to behave incorrectly. I am not interested in political battles,I try to do my work honestly as a lawyer and help the rule of law to progress in our society. The four novels published in France by Editions de l’Aube, are translated by Marie-Claire Cantournet-Jacquet and Xiaomin Giafferi-Huang.